After finding a manual typewriter in the basement of a friend's house, Michael J. Sullivan inserted a blank piece of paper and typed: It was a dark and stormy night. He was just eight years old and mimicking the greatest (or only) writer he knew at the time...Snoopy. That spark ignited a flame and the desire to fill blank pages would become a life-long obsession. As an adult, Michael spent more than ten years developing his craft by studying authors such as Stephen King, Ernest Hemingway, and John Steinbeck. During that time, he wrote thirteen novels but found no traction in publishing. He did the only sane thing he could think of (since insanity is repeating the same act but expecting a different result), he quit and vowed never to write creatively again. Michael stayed away from writing for a decade and returned to the keyboard in his forties...but with one condition: he wouldn't seek publication. Instead, he wrote a series of books that had been building in his head over his hiatus. His first reading love was fantasy, and his hope was to help foster a love of reading in his then thirteen-year-old daughter, who struggled due to severe dyslexia. After reading the third book of this series, his wife insisted the novels needed to "get out there." When Michael refused to jump back onto the query-go-round, she took over the publication tasks and has run "the business side" of his writing ever since. * His Death of Dulgath Kickstarter is the third-highest funded fiction project of all time. 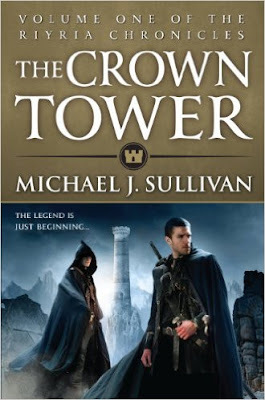 Today, Michael continues to fill blank pages with nine released novels, six awaiting publication, and a new series in the developmental stages. Do you think that your life experience has gone someway towards making you a successful author in your chosen genre? Yes, in many ways all that has occurred during my life has been a contributing factor to my success. It’s taken me decades to find my voice and polish my story-telling style, but more importantly the skills related to marketing, design, and promotion also took years to perfect. My “day job” before I became a full-time novelist was running my advertising agency. Doing that gave me experience in layout, design, and marketing. You are what is commonly referred to as a ‘hybrid author.’ Can you please explain whether you agree with this and whether or not this was a conscious decision on your part? Yes, a hybrid is the best description for how I approach publishing. For those who aren’t familiar with the term, it’s an author who utilizes both self-publishing and traditional. It would help to explain a bit about my publishing history. · 2017 - Book #2 of the First Empire released by big-five and at least one book self-published. As you can see, I have utilized small presses, the big-five traditional publishers, and self-publishing over the course of the last eight years. It is definitely a conscious decision, as I think it diversifies my offerings and provides for the greatest amount of flexibility. For each project, I determine what I think would be the best for my career and evaluate potential income, and then I decide which route to take. A common trait I have noticed, amongst the work of some of the biggest and best-selling authors who self-publish, is that they are ‘World Creators.’ You are no exception – your books are set in fantastical and futuristic worlds that envelope your readers. The fact that many of the top self-published authors create and write within these worlds leads me to believe that this way of writing lends itself strongly, to solid story strands that translate nicely into both extended series and devout fans and to a certain appeasement of the Amazon gods in terms of the promotion of those series. Do you write an origin story with a future series in mind or is it more of an organic process because of the way you build such a strong setting/world in the first book? To date, I’ve written series mostly, but I do so in a very unusual way. I write all the books before publishing any of them. 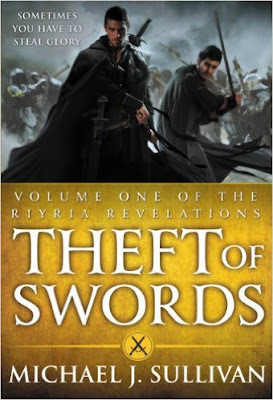 For instance my first series, The Riyria Revelations was a six-novel story arc, and I finished writing the last book before the first one was published. I just finished a new series, The First Empire (5 books). Even though the first book, The Age of Myth, won’t be released until June 2016, I’ve finished all five books this April. 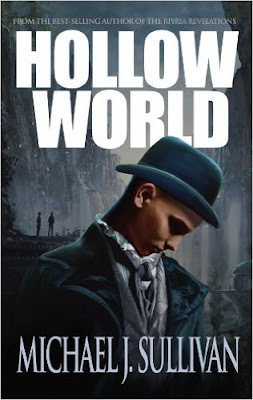 I do have one book, Hollow World, which is a standalone novel. That being said, I left some room to revisit that world and characters if the readership wanted more. It would appear that they do, so I’ll probably be writing a second story in that universe starting next year. How important are books written within a series to your success as a best-selling author? I think series are very important to my success. First, it is common in fantasy and science fiction to create epic tales that require several full-length novels to tell. But more importantly, it’s hard to make a living with just one book. Three seems to be the magic number as far as the number required to start obtaining a substantial readership. When they are all in the same series, it’s easy to get someone to go from one to the next (assuming the first one has entertained and/or touched them). Otherwise, you have to find a new audience with each standalone book, and that is a lot more work. I’m a firm believer that if you go the self-published route, you MUST produce a work that is every bit as good as anything coming from New York. That means an attractive, professional cover and flawless editing. A self-published book has to be twice as good to get half the credit. A typo or two in a traditionally published book is looked upon as a “minor mistake.” The same typos in a self-published book are held up as proof that self-published authors need better editing. Going self doesn’t mean “taking the easy way.” It means just the opposite. So if you can’t produce a book with exceptional quality – I say don’t bother. All that being said, you also have to keep in mind budgetary considerations. It doesn’t make sense to spend $2,000 releasing a book that will only net $500. So you have to spend your money wisely. If you shop around you can budget around $800 and get good results for both cover and editing. To me, that’s probably the lowest amount you should expect. What kind of marketing did you do to establish your author brand and what do you think is the most successful marketing for self-published authors? Is there any one thing that you have determined has helped you sell more books – i.e. could you outline your path to establishing your brand and your most successful sales method/s? It’s impossible to sum up years of marketing experience in a paragraph. But I can point out some resources that should help. One of the areas that I’ve found the best results from is Goodreads. It’s a site dedicated to books and is a perfect environment to find readers. There’s a lot to do there:groups to join, giveaways to run, talking to people who have read and reviewed your books. It can be somewhat overwhelming. I suggest people check out an article I wrote in the Feb 2015 edition of Writer’s Digest as a good place to start. I also have some online guides on the right-hand side of reddit’s write2publish sub (https://www.reddit.com/r/Write2Publish/). You have some fantastic book covers. How important do you think cover design is to a potential reader and how big a part do you think it has played in your success to date? Nothing will hold back a good book more than a bad cover. If someone can tell a book is self-published by looking at it, then you’ve put yourself at a significant disadvantage. Remember what I said about producing a book using the same standards of traditional publishers. That means that the cover of your self-published book has to stand toe-to-toe with anything that comes out from New York. With a bad cover, you have to work so much harder to convince people that what is inside the covers is worth their time. A good cover clears that obstacle and puts the focus on the writing not its package. Do you think it is important for self-published authors to identify and write in a niche market that they may have an interest in, in order to establish themselves as a leader in that genre and sell more books? I don’t know that I’m expert on selling books across a broad spectrum. All I can speak to is what has worked for me. First and foremost I think you have to write what you love. Otherwise, the lack of passion will show in your work. For instance, erotica has always done well in self-publishing, and if I cared only about money, I might consider writing for that audience. But I’d fail in that genre as (a) I don’t know the market well and (b) they aren’t the stories I want to tell. The people who do well in that market do so because they are passionate about those stories. There are going to be writers whose books are going to be “too niche” or “too broad” and they will probably struggle, and may never be commercial successes. It’s just a fact of life. If that describes you, then you need to find your rewards by the journey rather than the destination, and there is nothing wrong with that. Without question, a Goodreads Giveaway is the best “bang-for-your-buck.” For the cost of printing and shipping a book you can get hundreds, or even thousands of people to know it exists. I just concluded a giveaway for my new novel, The Death of Dulgath which had 4,186 people interested. The one before that (The Age of Myth (previously called Rhune) had 9,243 people sign up. Now, a new author can’t expect that kind of result. But even when I was an unknown author, I was pulling in 500 – 800 readers. That’s quite a bit, especially considering that I could message each one afterward and offer them a free short story. Doing that was very successful in getting people into my series. No, I don’t think traditional publishing is on the way out, but I do think self is now just as viable as traditional. It depends on what your goals are and what capabilities you have. If, for instance, you can’t put out a high-quality self-published book, then I think you should go traditional. Yes, you’ll lose a big cut of the profits, but the book will be professionally produced, and you have to start with that or you have nothing. As for traditional “keeping up” with self-publishing…the answer is they can’t...but they don’t need to. Let me explain. “Keeping up” implies they can match the output of self – and that’s just not possible. There are only so many books they can curate in any given year, and it will always be a very small fraction of the self-published books released. Traditional publishing’s business model is much different than self. It has always had a limited bandwidth, and that works for their model. The bigger concern to traditional publishing isn’t an influx of self-published titles. If anything, that helps them out. The danger is a decrease in readership as people turn to other forms of leisure…video games, television, movies, etc. Would you ever consider signing all your books to a traditional publishing house or will you always manage some of your titles yourself through self-publishing? I would like to have more self-published titles then I currently do. There were times in my career that I was 100% self, and that provides a great deal of freedom and a lot fewer hassles. When I sold my first self-published works to the big-five, my intension was to self-publish all future books. So far, that hasn’t happened. The first offer I got on my second series had me heading for self-publishing, but then an offer came in that made traditional a better choice. For my third series, I also intended to take that self, but again another offer came along that I just couldn’t pass up. Still, my most recent work is going out the self-published route and I do have several new projects I plan on self-publishing. Whether they will or not will depend on many factors including how my career is progressing and which route I think will make the most amount of sense. But no, I don’t suspect I’ll ever be 100% traditional. There was a three-week period back in 2010 when I put my second novel to free. In general, I’m not a fan of free novels as it is a large potential loss for the author. What I do believe strongly in is free short stories. I have two shorts free on Audible (The Jester and Professional Integrity). 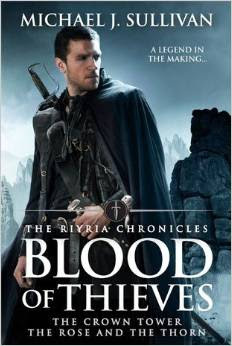 And I have some free shorts in ebook (including the Riyria Sampler, which has four little shorts in it). But I say all that with regards to my writing. For some authors, the free first book is essential for their careers, and it works well for them. Each author is going to be slightly different. The best advice I can give is to be self-aware about your audience and what you need to do to lower the barrier for them to try your stuff. At the beginning of your career, free books may be a needed incentive, but as your readership grows, you should be able to go without it. Absolutely. I find the self-published authors are extremely open and share a great deal, something I’ve not seen much of with traditional authors. In particular, the Writer’s Café of Kindle boards (kboards.com) is especially helpful. Many self-published authors (and many traditional authors) have a strong support network, the most important member usually being a spouse or partner who provides financial stability in the early stages of the author’s career. Your wife has been instrumental in handling the publishing tasks and runs the ‘business side’ of your career which gives you the freedom to write. Do you think this is an essential aspect of successful writers’ careers and do you think you would have the success you have enjoyed to date without such support? There is no doubt that I couldn’t have been successful without Robin’s support. Does every author have that? Sadly, no. Can you be successful without it? Yes, but it will be harder. I find the “business side” overhead to be about the same in self and traditional…the tasks are different, but the time away from writing is about the same. So, it’s not like there is more burden with self than traditional on that front. I’m fortunate as I don’t have to concern myself with agents, publishers, publicists, etc. Robin handles all that. It puts me in an exceptional position for writing. Bottom line. I wish every author had what I do, and no you can’t have Robin. She’s mine. Control. I just spoke about the “overhead” being about the same between the traditional and self. A lot of that has to do with constant conversations Robin has with the publisher about things we would like to do but can’t. Want to lower the price temporarily? The publisher says no. Want to distribute the books free of DRM? The publisher says no. Would you like the book included in a Humble Bundle? Nope. Don’t like the cover created? Too bad, you don’t have a say. Would you like a different format (say hardcover or mass market paperback)? Again you don’t have any input into such things. When you are with a traditional publisher, there is a lot of “hoping” they’ll do things you want them to do. Sometimes they do, but many times they do not. And it can be extremely frustrating. You have successfully used crowd-funding (Kickstarter) to drive some of your projects forward in the past. 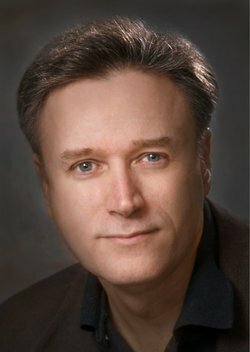 What are the main pros and cons for a self-published author in using such platforms to fund their projects? The cons are that it won’t work for everyone. People who have no audience will find it difficult to fund. So, my suggestion is you shouldn’t Kickstart your first novel. Once you get a few under your belt, and you have a following that’s when you should consider one. You have many of your books available in audio format – do you think audio books are worth investing in for self-published authors? I.e. is it a revenue stream that pays dividends in your opinion? Again, it’s hard for me to discuss generalities, as I’m only an expert with regards to my books and my career. For me, they surpassed my wildest expectations, but I’ve also been on the top of the bestsellers there and one thing about the top – is not everyone is going to get there. The best thing I can say is if you have a good strong ebook/print audience the chances of a good audio audience is good as well. But when you do it, do so with that same attention to professionalism I spoke of elsewhere. That means hiring a top-notch narrator and using a professional studio for recording and mastering. If you try to do it “on the cheap.” I don’t think it will be successful. How important do you think social media and a strong active online presence is, to becoming a success as a self-published author? It depends on how you define “social media” – if you define it as having a Facebook page and tweeting to “buy my book” I think that will tend to be counterproductive. If you mean having tools that help you connect with your readership…well that’s a whole different story. I think authors today are fortunate in that they have so many ways to CONNECT with readers. To me, such venues help to do that, and I think making connections is just as important to a self-published author as it is a traditionally published one. It comes down to what you do with those tools. There are a few authors I’m in touch with regularly, some are self-published, some are traditional, and a very few do a bit of both. All of my contacts came after I started publishing, so it didn’t help build the career…but now that I have a career it’s nice to chat, compare notes, and talk about what’s going on in the industry. As for mentorship, it has tended to be the other way around. I mentor a lot of people, but I was a bit of a trailblazer, so my work was pretty much on my own. Do you think self-published authors need to become effective business people, by treating self-publishing as a business, in order to succeed and secure their financial independence? Yes, I do believe self-published authors have to concern themselves with both the “craft of writing” and the “business of publishing.” As I said above, you have to put out something with every bit of quality that “real” publishers do – so you need a bit of entrepreneurship in you. Those that prefer “working for the man” probably will never be a good fit for the type of maverick nature that good self-publishing requires. I recently changed agents, and am currently represented by Joshua Bilmes’ JABberwocky Agency. Just prior to signing on with them, I sold four books to Del Rey. This includes the first three books of The First Empire series (Age of Myth will be released in June 2016), and one more yet to be determined book to be set in my fictional world of Elan. That could be a fourth Royce and Hadrian Riyria book or one of about a half-dozen other books I already have planned out in that world. Del Rey will be releasing my books yearly, so I’ll be writing (and probably self-publishing) other books as they do their releases. As I said, I have all five of the First Empire novels written, and I’ll have plenty more finished over the four years of that contract. Currently, I’m in beta with my third Riyria Chronicle (The Death of Dulgath) which I plan on having out before the end of the year via self-publishing. The only thing that I think I did wrong was when I gave up. I had spent about a decade writing and had thirteen completed novels. 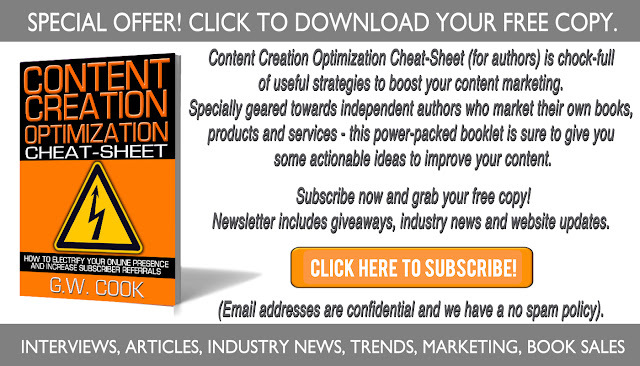 When I couldn’t find any traction in publishing, I quit. I didn’t start writing again until a decade later, and I only did so with the belief that I wouldn’t be publishing. Ironically, it was those books that put me on the map. So I guess my best advice is to realize that the only way to ensure failure is to quit trying. If something doesn’t catch…write something else. Keep working on improving your skills and keep telling stories, and that will significantly increase your chances of success. Thanks for having me, and for asking such great questions. This is where people can connect with me.